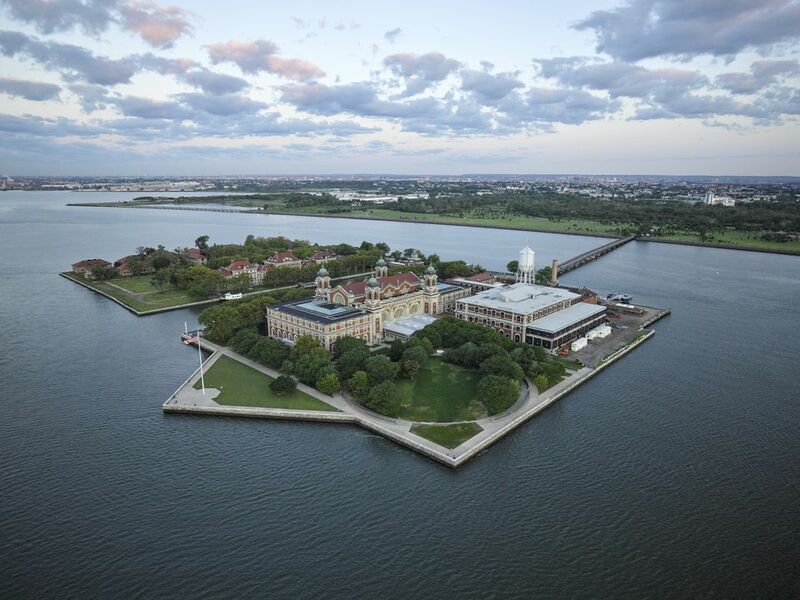 Located in the New York Harbor, approximately 12 million steerage and third class steamship passengers were processed on Ellis Island between 1892 and 1954. Immigrants who entered the United States through the port of New York were legally and medically inspected at Ellis Island. In 1990 Ellis Island was renovated and transformed into a museum dedicated to educating visitors about the immigrant experience. Island of Hope, Island of Tears - This 30-minute documentary film is a great introduction to the immigrant experience on Ellis Island. Free screenings throughout the day. Ranger Guided Tours - Free 45 minute tours on Ellis Island's history. Audio Tour - Available in English, French, German, Spanish, Italian & Japanese the tour consists of one hour of audio, broken into short clips for various exhibits. Board of Special Inquiry Program - Participate in reenactments of immigrant hearings. Strollers are allowed on the Ferry and inside the Ellis Island Museum. Grassy areas are good for picnics and breaks. Sing a Song of Freedom: The Story of Emma Lazarus and the Statue of Liberty - This 30 minute, interactive play with live actors is a good choice for families with children 5-12. Ellis Island Junior Ranger Program - A free booklet offers children activities to complete as they explore Ellis Island. It's available at the information booth or can be printed online. The American Family Immigration History Center - Easy access to the ships manifests is available in the center. Historical Research Center - Database with thousands of family names, their origin, meaning, vital facts and earliest records found. American Immigrant Wall of Honor - Largest wall of names in the world. Concessions offer a wide variety of options, from hamburgers to veggie wraps. Beverages, coffee drinks, ice cream, and fudge are also available. There are plenty of picnic tables for enjoying lunch, whether it's a picnic or bought on Ellis Island. Subway: N/R to Whitehall; 4/5 to Bowling Green; 1 to South Ferry. Hours: Open every day (except Christmas Day, December 25) from 9:30 am - 5 pm (extended hours in the summer). Ferries run every 40 minutes, but more ferries run from late spring into early fall. See Statue Cruises website for complete details. Admission Price: There is no charge for admission to the museum, however, access requires the purchase of a ferry ticket. A visit to Ellis Island is a trip back in time. Most of the exhibits and displays hearken to the time of massive European immigration across the Atlantic via ocean liner. You can take a rubbing of a family member’s name from the American Immigrant Wall of Honor and catch a breathtaking view of Lower Manhattan. Security is very serious for visitors to the Ellis Island and the Statue of Liberty -- everyone will clear security (including x-ray inspections of baggage and walk through metal detectors) before boarding the ferry. Genealogy archives are housed in the American Family Immigration History Center on the island. You can do research at its accompanying website (https://www.libertyellisfoundation.org/) or the National Archives and buy books about genealogy from their bookstore. To research a family member it helps to have the following information: name, the approximate age of arrival, approximate date of arrival, and port of embarkation or departure.